Bruce performed the song only once with The David Johansen Group*. *The David Johansen Group. Johansen is best known as a member of the protopunk New York Dolls. "Personality Crisis" is the lead song from the New York Dolls' self-titled debut album, released in August 1973. The David Johansen Group was David Johansen's first solo group, forming in 1977 and performing into the mid-1980s. The original lineup features Tommy Trask (guitar), Johnny Rao (guitar), Buz Verno (bass), and Frankie LaRocka (drums). After the In Style album (1979) the band features frequent changes and included such members as Patti Scialfa (vocals), Soozie Tyrell (violin), Charles Giordano (keyboards), Charlie Pip (guitar), Tony Machine (drums), Brett Cartwright (bass), Huw Gower (guitar), and David Nelson (guitar). The lineup of the group at the time Springsteen performed with them in 1980 has not been definitively determined (although Marc Dufaud's 2010 French-language biography Bruce Springsteen: Une vie américaine claims that Scialfa was with the group at the time). 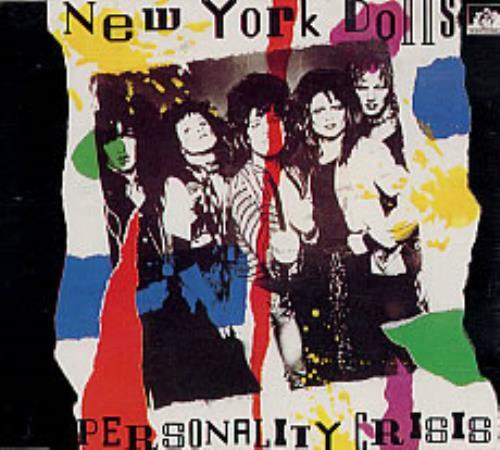 "Personality Crisis" is the lead track from the New York Dolls' self-titled debut album. It was written by Dolls lead singer David Johansen and guitarist Johnny Thunders. An early demo version of it appears on the 1981 collection Lipstick Killers – The Mercer Street Sessions 1972. Mercury Records originally released "Personality Crisis" in 1973 as a double A-side single with "Trash" to coincide with the album's release.